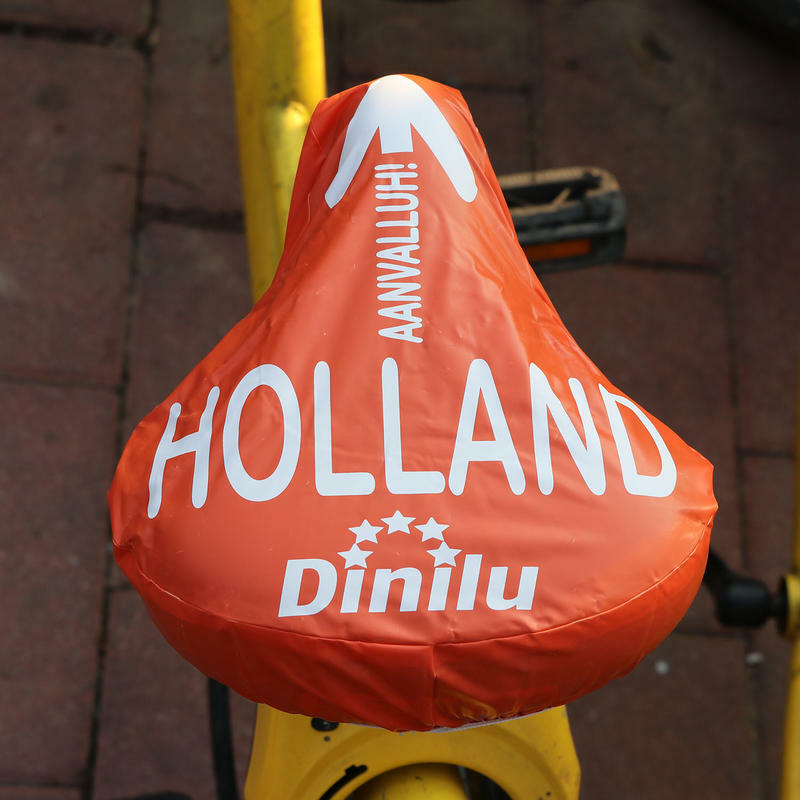 Our bike seat covers fit around the saddles of most bicycles, perfect for all your guerilla marketing. With a minimal investment in labor and cost you can transform the boring bike rack outside that supermarket or university in a live advertisement space for your company or product. The saddle covers protect the clothing of your customer or prospect against torn saddles and keep it dry during rain. Nice but cheap attention which the recipient will most likely appreciate to get. 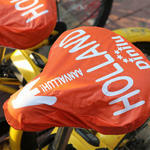 Our PVC bike seat covers are printed before being cut and sewn or welded. This means the printing of your artwork will be of the highest quality. Standard available stock colour: Choice of material colors as mentioned above. Material dyed to any PMS colour: Your own PMS colour material, inside and out. 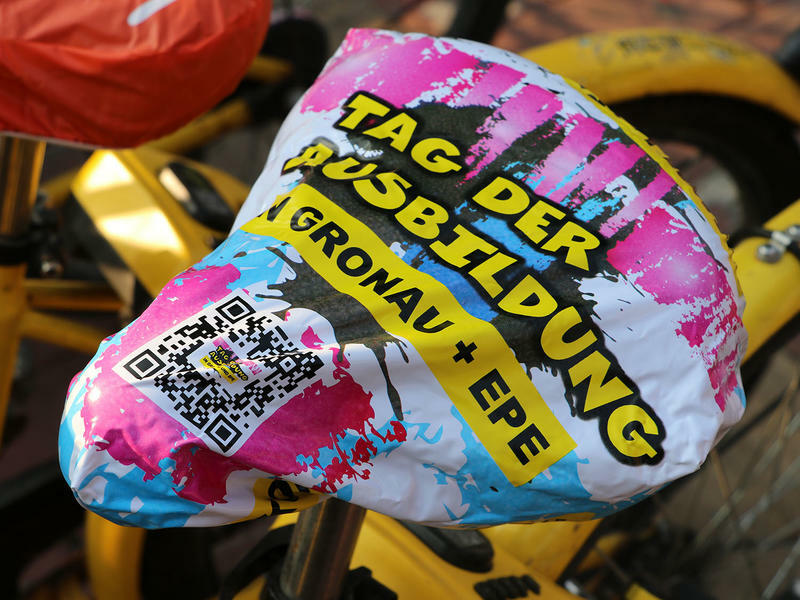 Best choice if the right colour is important, but only available for orders over 15.000 pieces of bike seat covers. 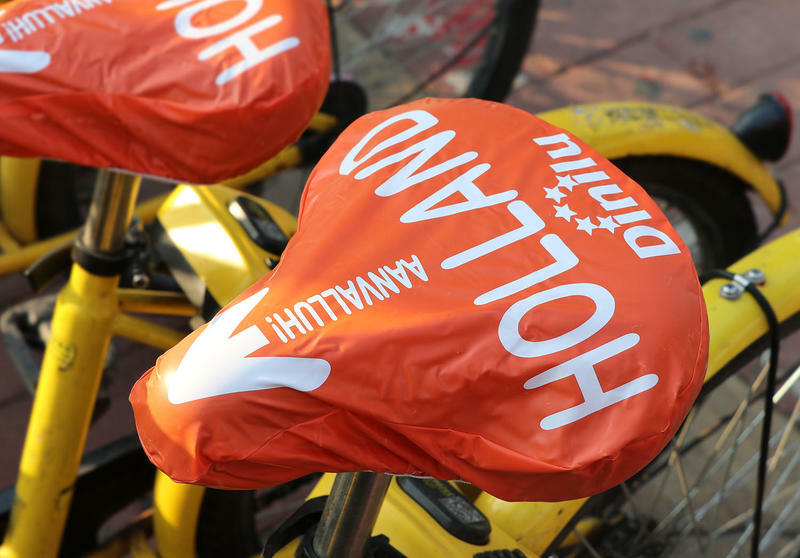 Please contact us for the possibilities of our factories for your own branded bicycle seat covers or check below for a quick online quotation with cost and production time.